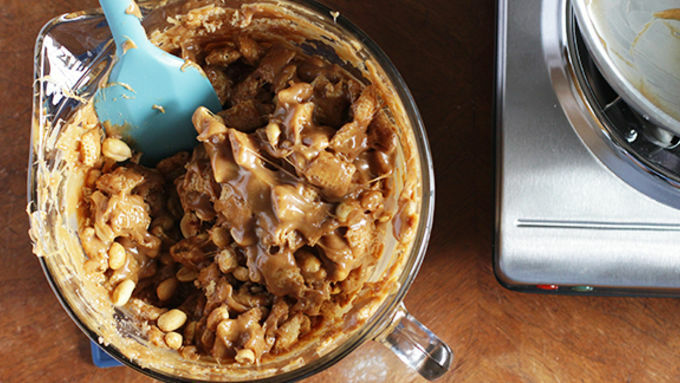 In a large bowl, combine the cereal and the peanuts and grease a 9x13 pan. 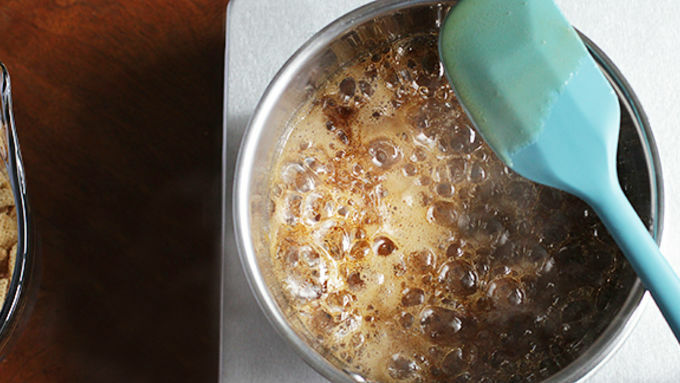 In a medium saucepan, bring the brown sugar and corn syrup to a boil. Boil for one minute, then add the peanut butter, spices, vanilla, and salt. Stir to combine. Add to cereal peanut mixture and carefully stir so you do not crush all the cereal. Gently press into the prepared pan and cool. Top with melted chocolate and wait for chocolate to harden. Cut into bars and serve. It’s that time of year again where we put pumpkin spice in everything, right? 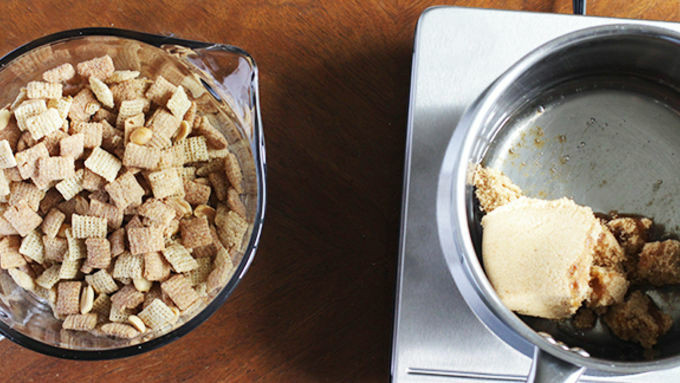 Put it in all your baked goods, your coffee, your ice cream, your CHEX™ BARS. I grabbed some cinnamon Chex™ to really boost the fall flavor. The base is made with even parts corn syrup, brown sugar and peanut butter. There’s also some peanuts in the mix but feel free to use whatever kind of nut you want! 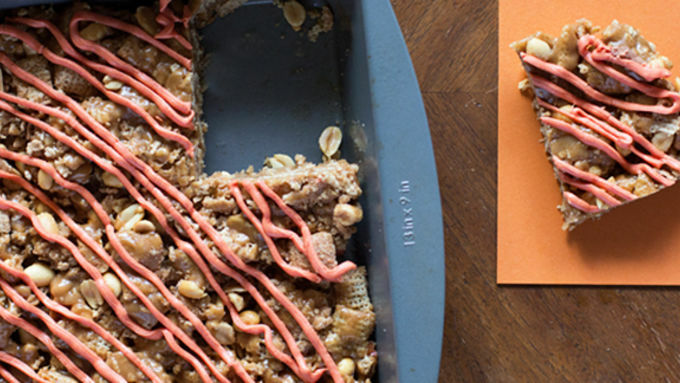 These babies taste just like a certain nougaty candy bar with a pumpkin spice upgrade. They take no time at all and you can swap out the white chocolate for milk or dark chocolate and have a nice twist on the classic! I tinted the white chocolate an orange color for a Halloween vibe, but if you do that make sure you use an oil-based food coloring, available at some craft stores. Water based will make your chocolate (seize) harden instantly. If that does happen though, a teaspoon or so of coconut oil helps. That’s it! 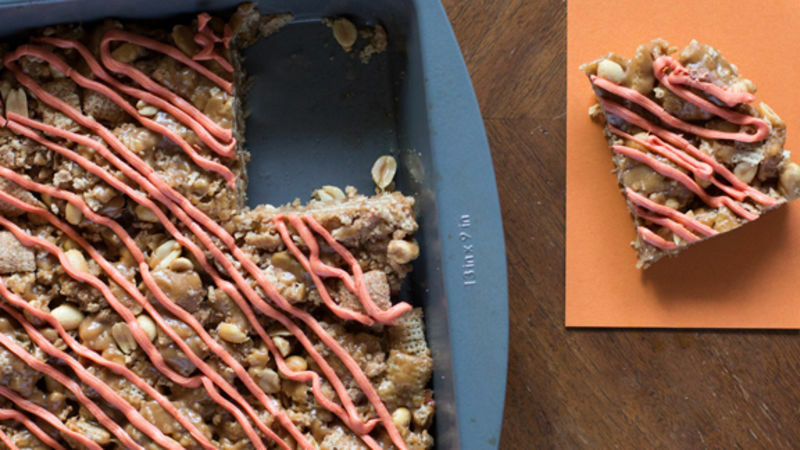 Slice into bars and serve up this sweet fall treat!